Posted in Outdoor Activities, Things to do with Kids, What to Do? 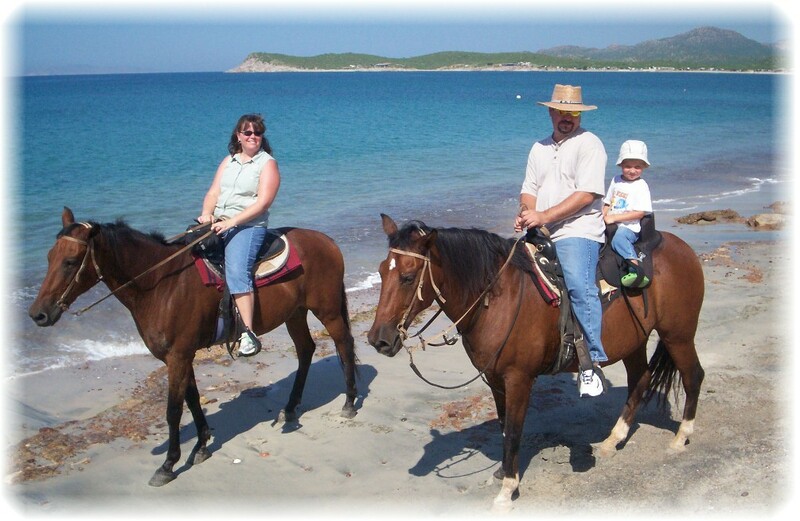 Horseback riding in San Carlos Sonora Mexico is fun for the whole family. 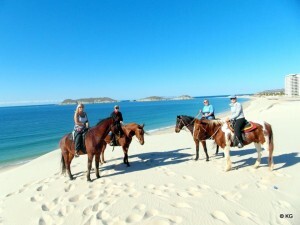 You can explore the desert and ride along the beaches. Make your way through beautiful desert scenery, discovering wildlife along the way … or thrill to the ride through the waves and along the wind-swept shores by the sand dunes. 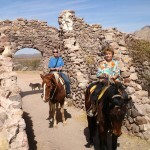 These stables are easy to get to and will take you on exciting guided tours and trail rides for all levels of riders. 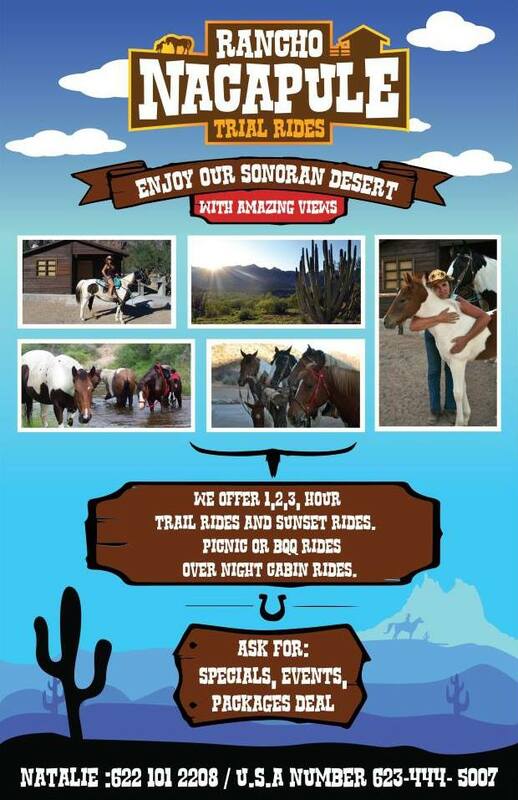 You can enjoy our Sonoran desert with our amazing trail rides. 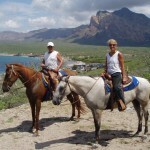 We offer 1, 2 and 3 hour trail rides and sunset rides for all levels and abilities. Or try our unique and fun picnic or BBQ rides. Ride costs start at only 200 pesos. 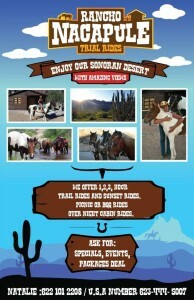 Looking for a real dude ranch experience? You can stay overnight in a cabin hear Nacapule Canyon. Or stay in one of the cottages on a 2,000 acre property 15 from San Carlos. Call today to book your ride. Ask for specials, events and package deals. English and Spanish are spoken. For English, call Natalie at 622-101-2208 and for Spanish, call Hector at 622-111-0743. Ready to horse around a little? 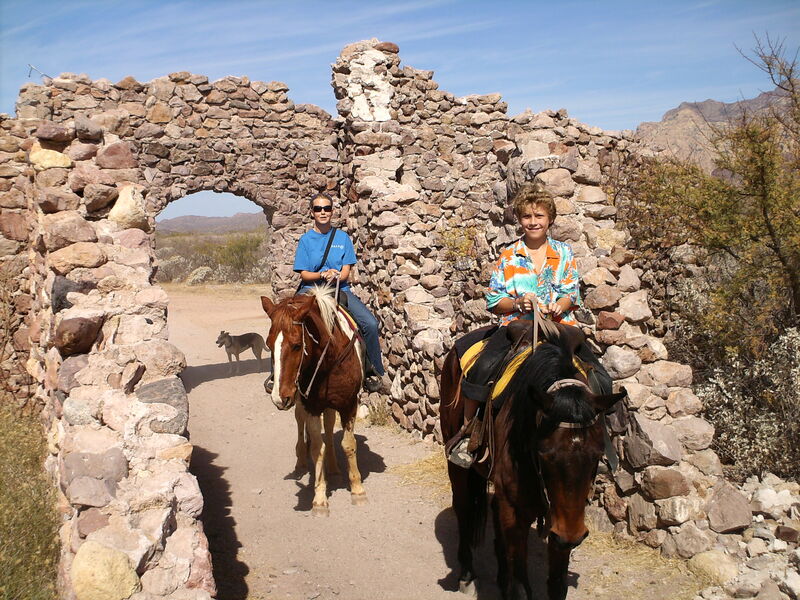 Then come ride marvelous alabaster beaches or enjoy the solitude of the mystical Sonoran desert with Astrid’s Ranch – El Rancho del Desierto. They offer many affordable guided trail rides for all levels and ages of riders, ranging from 1 hour – 4 hours, every day of the week. Rides cost only $25 USD per hour. 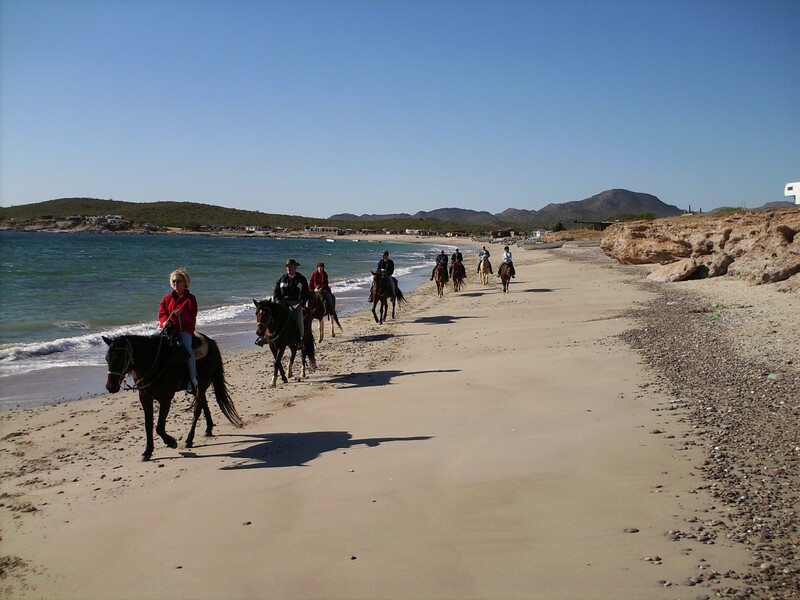 Trail rides along the beach. In the dunes. Through the desert. See the Catch-22 movie location. 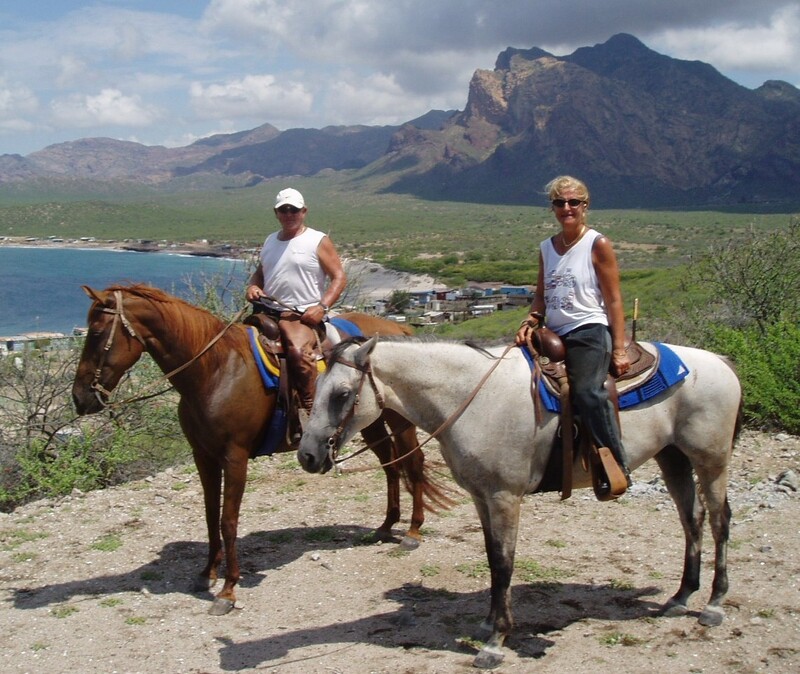 For longer rides in cooler weather, there are trail rides to the canyons and to La Manga. 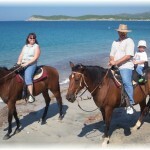 The guides are experienced horsemen and they’ll provide you and your friends with lots of fun and adventure. They are located inside Paradiso Hotel. Stop by or call Astrid at 044-622-855-5930. Address: Playa los Algodones, KM 20, by Paradiso Hotel. 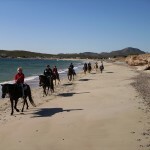 Drive into dirt roadway towards Soggy Peso and La Salsa Beach Bar, and veer right where you see the sign for Caballos.